Updated Saturday June 30, 2018 by Kent Wannamaker. 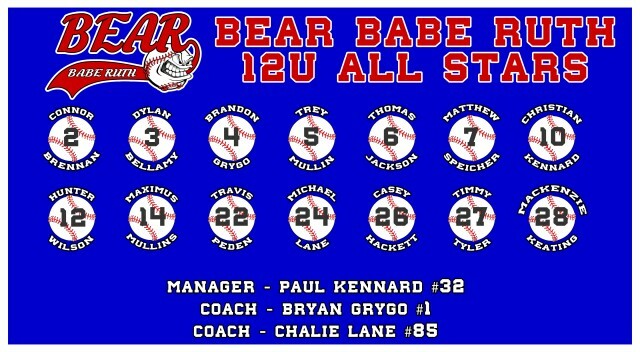 2018 12U Bear All-Stars win game 1 against Piedmont with a 9-4 final score. Game #2 at Piedmont Sat - 6/30 - 7:00pm.